Morning Report Pearls | UCSF Internal Medicine Chief Resident Hub | …because we can't all make it to morning report. Zion AM report: Rethinking tinnitus and eustachian tube dysfunction! Thanks Molly for presenting the case of a young woman in primary care for aural fullness and episodic L>R “dripping” sound in her ears – found to have eustachian tube dysfunction from middle ear myoclonus! This was a great opportunity to review our history taking for otologic complaints, redefining tinnitus, referral decisions, and management of eustachian tube dysfunction! **Shameless reference to a previous Zion ambulatory report blog on approach to tinnitus! Neuro exam – especially if complaints of headaches, balance/gait dysfunction, visual complaints, vertigo! **Steph shared a key tip – ask patient’s to “mimic the sound they hear”, can be easier than asking patients to describe in words! Non-vascular – most common cause = presybacusis but see below for a wide variety of causes! 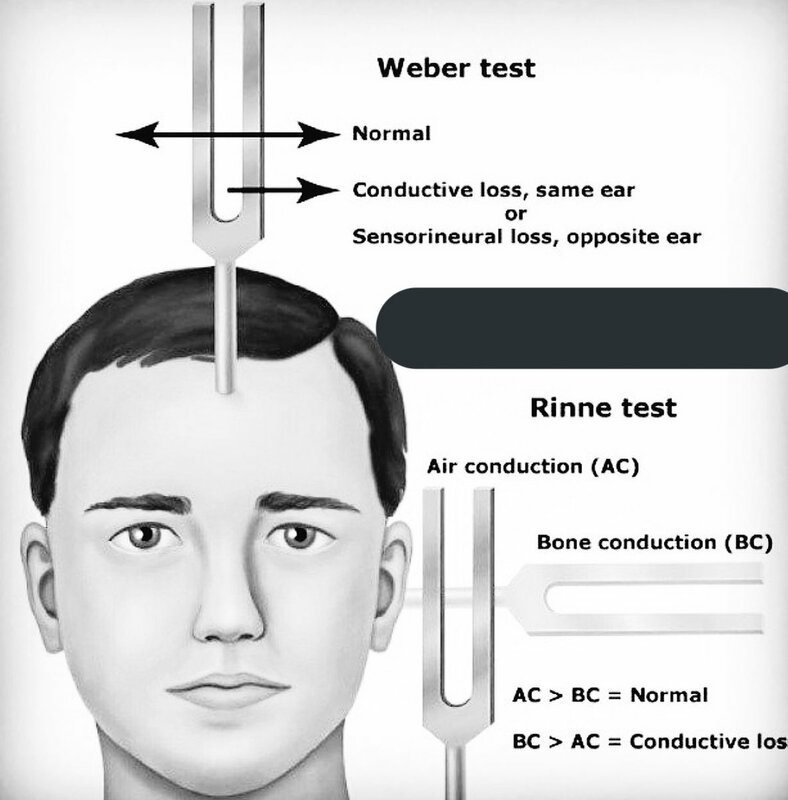 *Make sure to rule out barotrauma and head injury as possible etiology of tinnitus! Treatment is usually conservative – manage expectations, limit factors that exacerbate tinnitus (stress reduction, sleep hygiene, limit caffeine intake, stay hydrated), for severe cases can consider botox or surgery! Most important – treat the underlying cause!! In the absence of one of the above causes, very limited data to support our commonly used medications – benefit lacks for systemic decongestants like pseudophed, antihistamines, nasal steroids! Wu V, Cooke B, et al. Approach to tinnitus. Can Fam Physician. 2018 Jul; 64(7): 491–495. From the last week of amazing cases… Thanks to all of those who presented! Selected pearls below. Tx: Syndrome is relapsing and remitting. Goal is to suppress exacerbations to prevent organ damage. Treatment depends on the organ(s) involved. Jimmy Feeney’s Approach to Hyperammonemia! The key is that although hepatic causes (namely, the many causes of decompensated liver disease) are the most common, there are also many nonhepatic causes. They can be grouped into increased production of ammonia and decreased metabolism. See the diagram below. Compare and contrast this with NMS and SS, both of which usually include autonomic signs like HTN and hyperthermia that should be absent in lithium toxicity. Pearl: Opioids have serotonergic properties, so beware high doses in patients on an SSRI! Thanks Lev for presenting the case of an elderly man with weight loss, fatigue, and progressive dyspnea on exertion ultimately diagnosed with ALS! This case was such a good reminder to think about the broad differential diagnosis for subacute fatigue and weight loss, including neurologic causes! See below for pearls from the case. Fasciculations: be sure to check the tongue, thigh, and hand muscles! Single breath count test: ability to count ≥25 in single breath suggests normal respiratory muscle function [can also have patients sing ABCs in single breath]. Correlates with forced vital capacity (FVC). Weak neck flexion also correlates with diaphragmatic dysfunction. Test by asking patient to lift head off bed and tuck chin. Negative inspiratory force (NIF) – Being able to generate negative inspiratory force of greater than -60 is normal. Less than -60 suggests diaphragmatic weakness. Moffitt Morning Report 4/5/19: Systemic Sclerosis! Thanks to JD for presenting the case of a young woman with systemic sclerosis. This is a rare and complicated diagnosis, so I’m including some key pearls and a great review article below. An immune-mediated rheumatic disease of the skin, small vasculature and internal organs. The pathophysiology is not well understood, but involves early diffuse microvascular inflammation and damage, and later progressive replacement of the inflammatory changes around the vessels with fibrosis. The two major subtypes are 1) Limited cutaneous systemic sclerosis, in which skin findings only occur distal to the knee’s/elbows and on the neck/face, and 2) Diffuse cutaneous systemic sclerosis, in which skin findings also include the proximal limbs or trunk. These distinctions are important because they have different patterns of organ involvement. For example, the limited subtype commonly involves pAH, while the diffuse subtype has an increased risk of renal crisis and severe lung fibrosis. CREST syndrome describes a subset of the patients with limited cutaneous systemic sclerosis who have prominent vascular involvement. With that said, the vascular involvement is often asymptomatic early on and patient’s manifestations are often much more heterogeneous than the acronym suggests, so the term has largely fallen out of favor. There are other subtypes that are more rare, including Sine Scleroderma, in which there are systemic findings (positive serologies, organ manifestations) and Raynaud’s, but no skin findings, and overlap syndromes, in which patients have one of the above subtypes plus another autoimmune disease like SLE, RA, etc. How do you diagnosis systemic sclerosis? Associated serologies are anti-centromere, anti-topoisomerase I, and anti-RNA polymerase III. What are the organ manifestations, and how do you treat them? Think about 4 major organs: Esophagus (and other parts of GI tract), heart, lungs and kidneys. See the two figures below from Denton & Khanna re: monitoring for and treating the complications of systemic sclerosis. Mt. Zion report – HypoK, HTN, and hyperaldo! Thanks to Cam for presenting the case of a middle-age male with persistent muscle cramps found to have hypokalemia secondary to hyperaldosteronism! How do you test (correctly!) for hyperaldosteronism? See UptoDate’s great algorithm below – remember the test is most valid in the morning (after patient has been awake for 2 hours) and seated for 15 minutes before sample is drawn. ACEi, ARBs do not necessarily have to be stopped (given risk of poorly controlled hypertension) but caution in excluding diagnosis with elevated plasma renin activities. If laboratory evidence suggestive of hyperaldosteronism, proceed with adrenal CT to determine unilateral versus bilateral nature. Get Endocrine involved early for abnormal plasma aldosterone and renin ratios – consider e-consult especially if the aldosterone is “normal” as Cam taught us that this can be inappropriately normal and must be interpreted in the context of renin activity as well! Moffitt Morning Report: HCV Cryoglobulinemia! Big thanks to Fangdi for presenting a case of a woman who presented with a subacute complaint of bilateral foot pain, also with wrist drop and facial droop on exam, ultimately found to have HCV and AKI with possible cryoglobulinemia! Pearls below. What are cryoglobulins? immunoglobulins and complement that precipitate at temperatures less than 37C. There are 3 main types of cryos (don’t memorize, but table below). Type 1 is monoclonal and more common w/ lymphoproliferative disorders and II/III are polyclonal more common w/ chronic infections/rheum conditions (type II also has RF activity and +RF can be seen in these patients). What is cryoglobulinemia? Technically, this is the presence of cryoglobulins in the serum, but this term is often used to refer to the vasculitic syndrome caused by cryos. This is a small-medium vessel vasculitis. This is an important distinction because cryos are VERY common in patients with chronic infections/inflammatory disorders, but cryo vasculitis is much more rare. Cryos may be present in 15-20% of HIV patients, 15-25% of patients w/ connective tissue disease, and ~50% of patients w/ HCV, but only a fraction of these actually develop symptoms. How do these patients present? The different types have slightly different clinical presentations (see table), but the cutaneous manifestations are the most common. Peripheral neuropathy is the most common neuro complication. Renal complications include an immune complex GN and MPGN. How is cryoglobulinemia diagnosed? Diagnosis is confirmed when you have 1. A consistent history, 2. Typical clinical manifestations like purpura and hypocomplimentemia and 3. Presence of cryoglobulins. Since cryoglobulin testing may be negative in as many as 30-40% of cases on presentation, you can also use +RF and low C4 in combination with other specific findings like membranoproliferative GN to diagnose. How is cryoglobulinemia treated? It depends on the etiology and type (see table). In HCV-related cryoglobulinemia, treatment consists of a combination of immunosuppressive therapy (usually rituximab or steroids) and treatment for HCV. Zion AM report: Erosive OA??! Immunotherapy side effects?? Are we are Moffitt!? Remember key descriptors that can narrow your illness script for arthritis! How do I arrange an arthrocentesis in the outpatient setting? Most PCPs feel comfortable with knee joint arthrocentesis; however, smaller joint arthrocentesis or level of comfort with procedure warrants help from our specialists! Usually described as chronic non-inflammatory asymmetric oligoarthritis! But what about erosive osteoarthritis?? Interestingly, some association with poorly controlled hyperlipidemia!